The Farm Bureau’s decision comes just over a month after members of its political action committees voted by an overwhelming 99 percent to support Akin over Democratic U.S. Sen. Claire McCaskill. 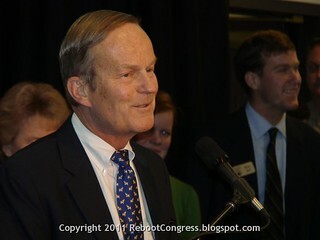 The Farm Bureau did not disclose the exact percentage of support Akin won in the new vote, but it said the results were similar. It's still a mystery to me why the Farm Bureau was reconsidering their endorsement, but this is good news for Todd Akin's campaign.